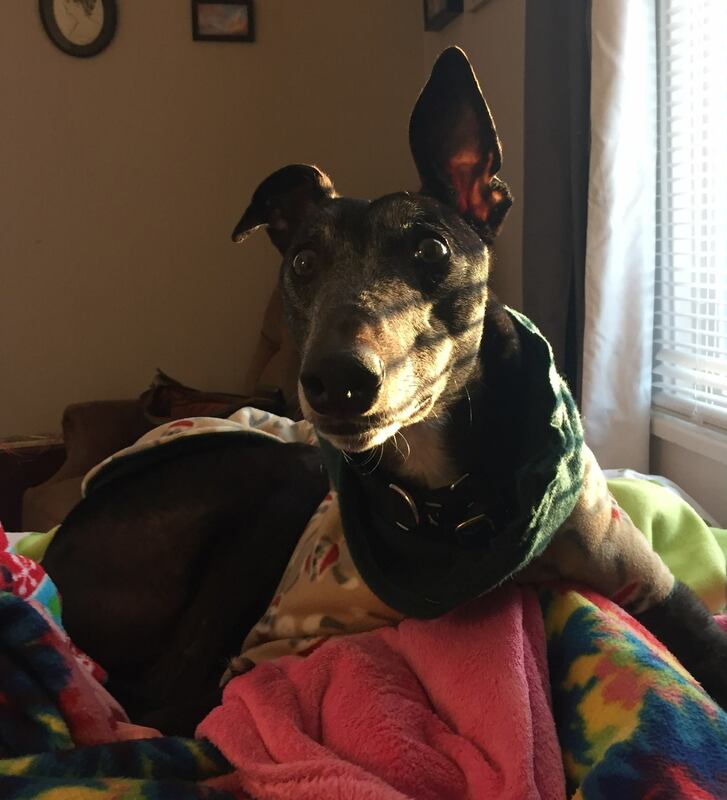 This post begins a new series called: “Favorites of the Fall” and starts us off with post #1 on Greyhounds. When I come home from the stresses, excitement, obligations, and due dates of the world, there are two wet noses atop each other waiting for me to push the door open a little further than a crack; I walk into wagging windshield wiper tails, half jumps, and chattering “excited” teeth. The face rubbing into my clothes commences and then we all rush to the door to see who can get out to the backyard-kingdom first. This isn’t just any backyard, no, its got the perfect grass to chomp on when mom isn’t looking, a garden fence to pee on, and three whole compost bins to get good wiffs of rotting veggies. The loyalty, love, and lavish attention I speak of here is just another day in the life of being a mom to greyhounds. When I worked in vet medicine, I met a few greyhounds who always caught my attention with their gentle demeanors and kind spirits. Though I wanted a dog for years, I kept saying, “I’ll wait till I am finished with school.” Nine years later, I am still in school; hence, I decided eight months ago that I would adopt a grey and that’s when Jack came into my life.He’s been so much fun and brought forth such joy that I began thinking about adopting a second retired racer. 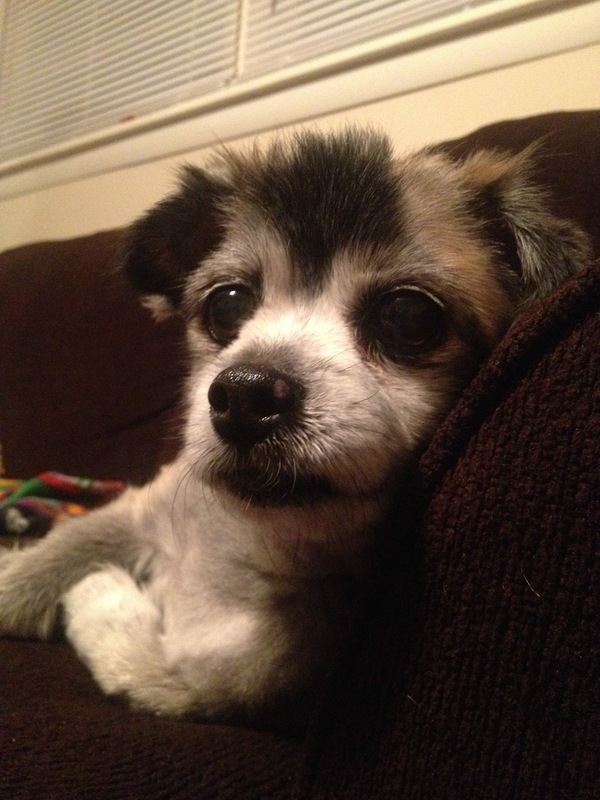 This summer, the same week that my parents had to put down our beloved Pomeranian/ Shih Tzu mix “Toby,” another “Toby” appeared on the website of the amazing retired racer adoption group that I am a part of, Greyhound Pets of America – Nashville. “Toby” the grey was a senior who had been returned to the rescue and I couldn’t believe the timing. After meeting Toby, it was pretty clear that he should join the pack with Jack and he’s been the best addition to our home. He’s kind, delicate, cuddly, and just happy to be home. 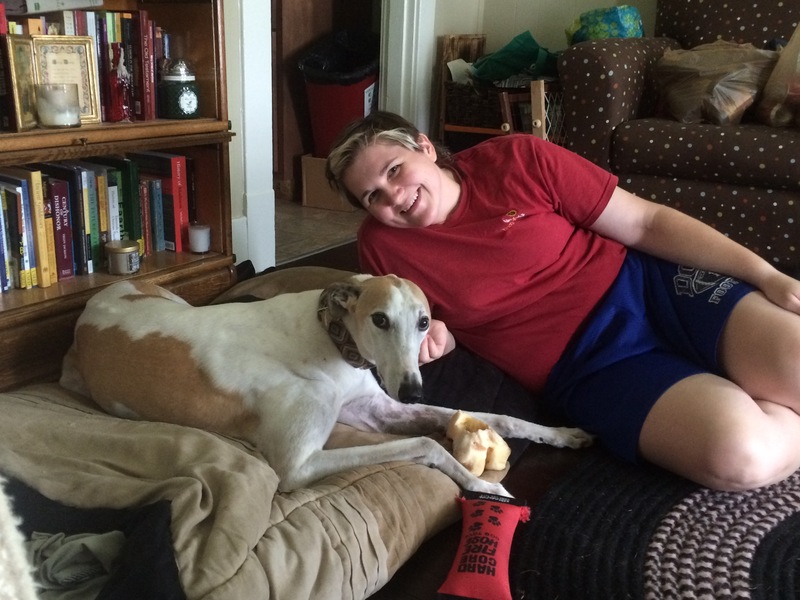 If you are looking for a canine addition to your life, I would highly recommend considering adopting a retired racing hound from GPA-Nashville. They even have some hounds who currently need homes and you can check these fellas out here. This is just another one of my fall favorites! How often do we learn the most from the least likely to teach us? This week I had the joy of being able to take my little 6 year old friend out for a girls day. She is, by far, one of the coolest people I know. Having had a fun day of shopping and eating, we decided to make our way to the local playground. Now this isn’t just any playground, it’s a super-charged playground with several yards of various colorful apparatuses to conquer. As she began to climb the castle, she stopped in her tracks when coming to a roped feature that connected the two towers. The flooring had ended and the roped webbing became the route in which she had to tread to continue her conquest of the castle. She decided that this feature was too scary and not worth the fear it created. She gave up and turned around. She did this several times at various spots on the playground. I could see she was missing out on a lot of fun, but all she could see is that this was a giant obstacle that was too scary. Eventually, we came to a rather frightening spiral ladder… the ladder was tilted, making it a slightly more difficult ladder to climb than your average ladder. Because of her short stature, she couldn’t see what was beyond the ladder, but I could. And I knew that she’d want to partake in what fun awaited her at the top. To my amazement, she left the ground and began the ascent. She made it about 3 seconds before telling me this was too scary and asking me to help her down. Now if I thought she couldn’t make it, by all means, I would’ve given in and lifted her down. But I knew she could do this thing that scared her. At this moment, I wanted to tell her so many things. I wanted to tell her that life was messy and hard and, at many times, scary. I wanted to tell her that fear would be a frequent visitor and would tempt her into taking the easy, safe way out. I wanted to tell her that giving into fear is not the way to life… it’s not the way to joy– or intimacy– or vulnerability. I wanted to tell her about the evil that has come from people motivated by fear. The racism, the discrimination, the hate. I wanted to tell her the mistakes people make because of fear. I wanted to tell her about the amazing things people miss out on because they give up out of fear. I wanted to tell her all of these things. I even wanted to lift her off the ladder so she wouldn’t have an unpleasant experience. But I didn’t. Because here’s a secret I’ve been learning… a pleasant life is not always a rich life. The safeness and steadiness quickly wear off and give way to superficiality and boredom. Instead, I stood behind her… close to her… and I told her that I just knew she could do it. I told her that I wouldn’t let anything happen to her. I told her that we’d work through this together. After a moment, she decided that she could take just one more step, which turned into another and another. I let her inch along. Finally, she made it to the top. She was ecstatic. She was empowered. “Oh Kate, I am Merida from Brave“, she yelled. “Yes, you are… you always were,” I replied. Having completed this feat, she began attempting other playground equipment that scared her. And before long, she had free reign of the playground. As the sun set, I could see joy radiating from her. And once again I realized, life lessons are often learned from the least likely to teach us.